Tag Archives: Tell Me About It! 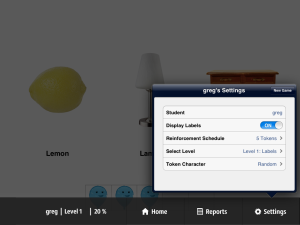 New App for Teaching Language to Children with Autism is Now Available! New York, NY, March 5, 2012 – Different Roads to Learning, Inc., a global retailer of educational products for children diagnosed with Autism Spectrum Disorder and other developmental disabilities, today announced the launch of Tell Me About It! 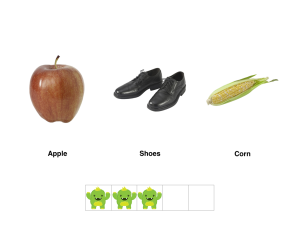 Learning Language by Receptive Function, Feature & Category, an iPhone/iPad app for developing early language skills. 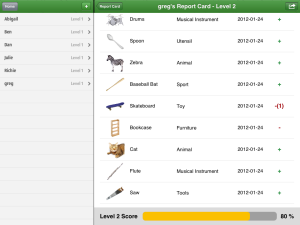 This app uses Applied Behavior Analysis (ABA), a systematic teaching approach that involves breaking down skills into small, easy-to-learn steps. ABA is the only evidence-based effective intervention treatment for Autism endorsed by the American Academy of Pediatrics and the United States Surgeon General. The Tell Me About It! App is now available for $9.99 at itunes. “A new wave of educational apps has been on the rise since the iPad first launched; now, they are more efficient and visually stimulating than ever. These apps are especially pertinent in the early education of children with Autism Spectrum Disorders. 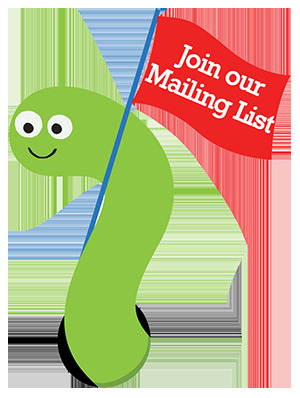 We are pleased to develop the Tell Me About It! App, which covers the basic foundations of language for children diagnosed with Autism. Our Tell Me About It! App for the iPhone and iPad allows parents and professionals to apply ABA in any setting,” said Julie Azuma, CEO of Different Roads to Learning, Inc., which she founded in 1995 after her daughter was diagnosed with Autism. The concept for this app was developed by Stacy Asay, LMSW, and Abigail Schlaifer for Different Roads to Learning and created by Infusion, which combines expert software engineering with appealing user experiences. Different Roads to Learning was one of ten small businesses selected for the CEO-UBS Small Business Advisory Program, a philanthropic partnership between UBS Wealth Management Americas and the William J. Clinton Foundation. As a participant in the Program’s New York Metro Area pilot, Different Roads to Learning received six months of pro-bono strategic financial and business advice from a UBS Financial Advisor and a dedicated client. The app is a product of this mentorship program. For more information, visit itunes. Founded 17 years ago by the mother of a child diagnosed with Autism, Different Roads to Learning understands and embraces the unique needs of every child on the spectrum and strives to enable parents and professionals to help children grow to their full potential by offering over 500 of the most progressive and carefully researched quality products in support of the Autism Community. Visit www.difflearn.com. Read our blog. Like us on Facebook. Follow us on Twitter. Posted in ABA, Apps, autism, autistic spectrum disorder	| Tagged ABA, Applied Behavior Analysis, Apps for Autism, autism, autism education, autistic spectrum disorder, Different Roads to Learning, Early Intervention, Ipad, teaching tools, Tell Me About It! Tell Me About It! Sweepstakes – Win A Free Copy of Our New App! 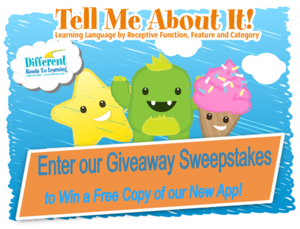 Different Roads to Learning is thrilled to offer you the chance to win a free copy of our latest iPhone/iPad App for teaching language to students with Autism or speech and language delays: Tell Me About It! Learning Language by Receptive Function, Feature & Category. This special offer ends on February 17, 2012 at 11:59 PM EST. Tell Me About It! teaches the label, category, function, and features of more than 235 language targets over 6 levels of incremental difficulty with over 1000 unique testable attributes. 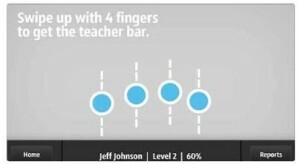 The presentation of each language target conforms to an Applied Behavior Analysis (ABA) discrete trial program, with reinforcement provided by a token economy system. 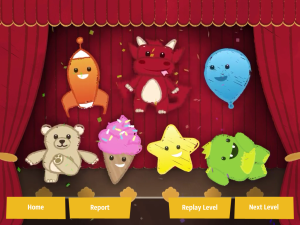 Once the user collects the given number of tokens, they are rewarded with an adorable 5-10 second animation clip of the token character. Tell Me About It! provides a self-contained discrete trial program that error corrects and provides direct reinforcement to the student while collecting and synthesizing data for up to 10 students. There is a Student Report Card in the format of a data sheet that displays data for each student, with an option to email the results. For complete details on our sweepstakes and to enter, click here! Currently, our new app Tell Me About It!is being sold in the iTunes store for $9.99. You have the chance to win it for free by entering our Sweepstakes! To learn more about Tell Me About It!, visit the store in iTunes by clicking here! Posted in ABA, Apps, autism, autistic spectrum disorder, Speech & Language	| Tagged ABA, Applied Behavior Analysis, autism, autism education, autistic spectrum disorder, Different Roads to Learning, Ipad, language development, learning, motivating learners, Resources, special education, special needs, teaching tools, Tell Me About It!